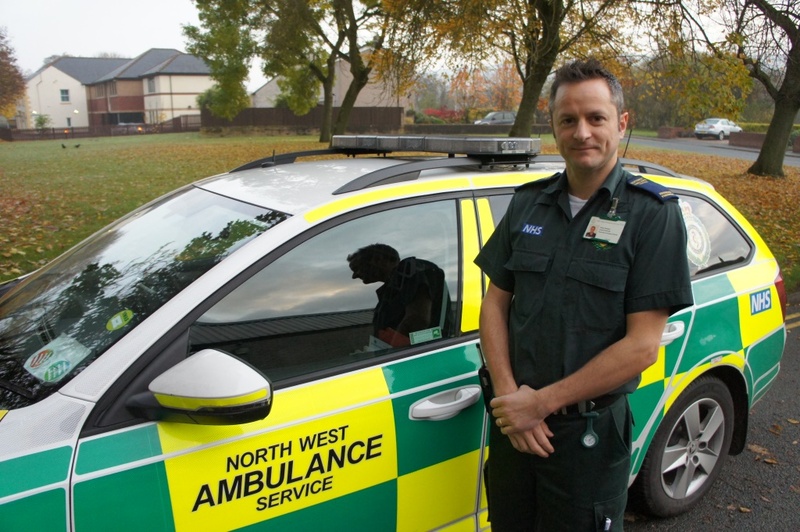 Vinny Romano, Consultant Paramedic for Education at North West Ambulance Service. Ambulance staff in the North West are benefiting from even more expert clinical support as Advanced Paramedic, Vinny Romano steps up to embark on a new challenge as Consultant Paramedic for Education at North West Ambulance Service (NWAS), making him the first person in the country to take up this role. The position has been created to sit alongside the education team and provide a vital clinical input into all aspects of training, including newly qualified paramedics and frontline ambulance crews as well as within the trust’s patient transport service and emergency operations centres. Vinny said, “Since joining the ambulance service this has been my dream job, I remember being asked on my first training day how I would like my career to progress and I knew then that I wanted to go into education so I’m extremely proud to have been given the chance to achieve this dream. Vinny is now one of eight consultant paramedics across NWAS; they are highly trained and use their vast experience and knowledge to provide a broad range of clinical support to colleagues across the trust in specialist pre-hospital care meaning that seriously ill patients can receive the best possible treatment before arriving at hospital. Vinny will still regularly respond to emergencies and continue leading on the trust’s Trauma Risk Management (TRiM) programme, which helps to support colleagues who have attended traumatic incidents.